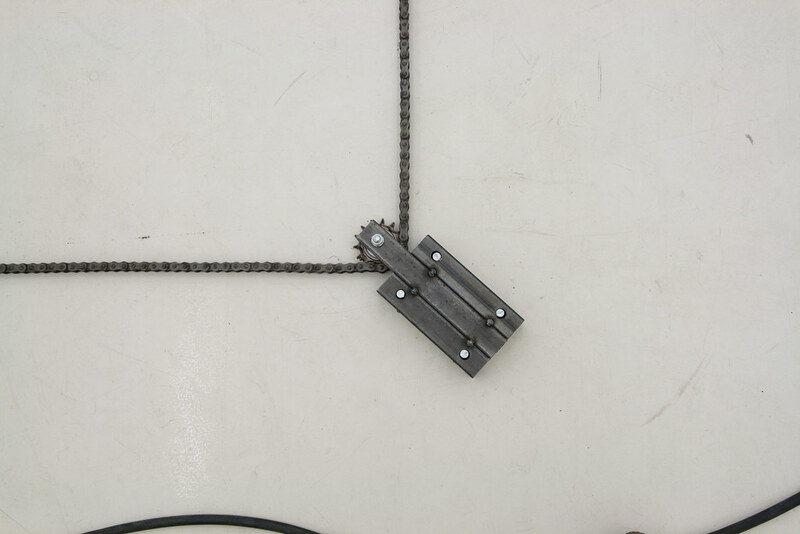 Material: Metal, Electrical Motor, Chain. 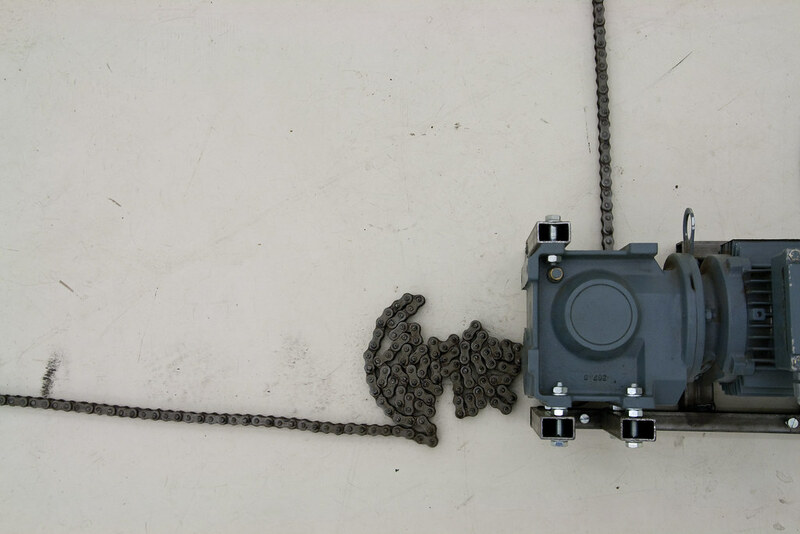 A chain is being pusched out by an electrical motor. 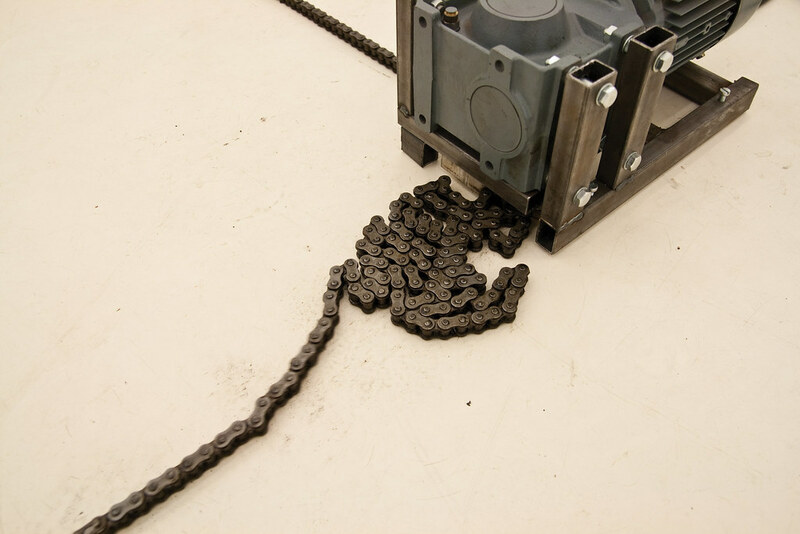 The chain is then being pulled through a number of gearwheels, and fed back into the motor. 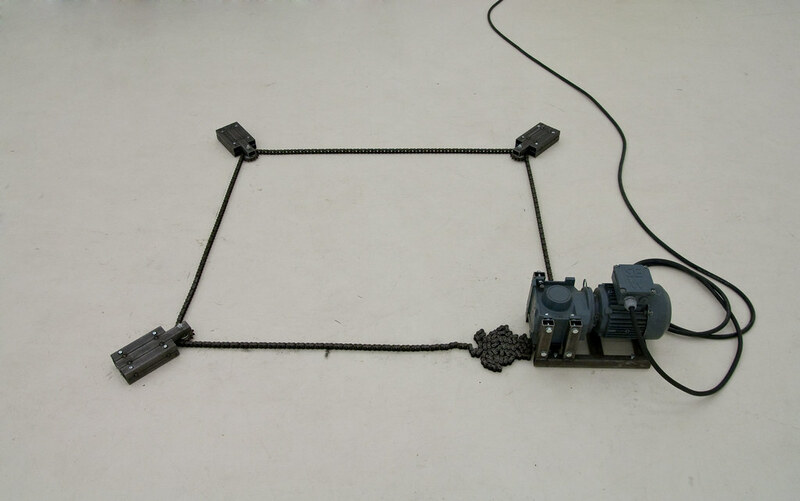 Thereby creating an endless loop.